(CNN) -- The images coming from Greece this spring have been far from beautiful. Instead, the world has seen footage of angry rioters in Athens and police with tear gas. The Greek government has been plunged into a debt crisis that has led to cuts in public workers' wages and retirees' pensions and increased sales and excise taxes. The debate and vote over the measures has sparked angry rallies and marches across Athens. All of this comes as Greece enters its bustling tourism season, which goes from May to September. Travel and tourism account for 15.5 percent of Greece's gross domestic product and 18.8 percent of total employment, according to the World Travel and Tourism Council. The Greek islands, a popular summer destination, "remain as peaceful as ever," travel expert Pauline Frommer said. 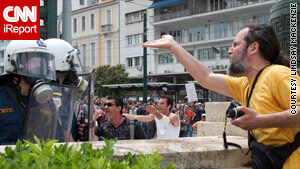 Protesters confront police last week near Greece's parliament building in Athens. "I don't think you can write off the entire country because of problems in the capital," Frommer said. "It's like the problems we've been seeing in Mexico. In the resort areas of Mexico, you haven't seen a single tourist harmed because of the drug wars in the border area." The U.S. State Department has no travel warnings or alerts regarding Greece, but it did issue a warden message last week advising travelers to be wary of protests in Athens and Thessaloniki. "U.S. citizens are urged to avoid the areas of demonstrations, and if they find themselves within the vicinity of protests, they should exercise extreme caution and depart the area as quickly as possible," the message reads. Greece is a stable democracy, and strikes and demonstrations are generally orderly and lawful, but police sometimes use tear gas to quell protests that get out of hand, the State Department advises. 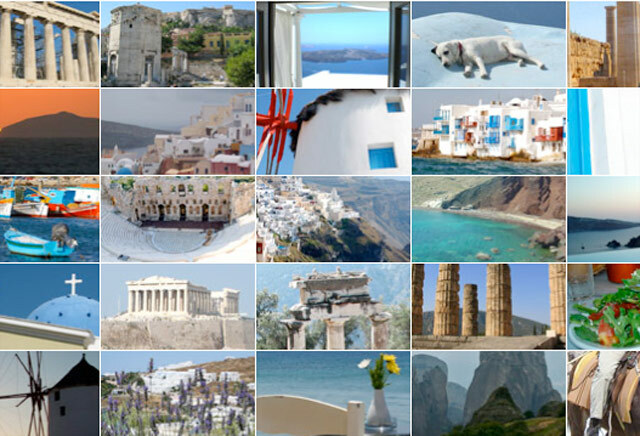 Most tourists come to Greece from Europe, especially the European Union countries, and from the United States, according to Greeka.com, a private company licensed by the Greek National Tourism Organization. "Visitors should expect regular strikes and demonstrations throughout Greece during May," Britain's Foreign Office advises. "Strikes and demonstrations are sometimes called at short notice and can cause disruption to public transport in and out of Greece [including air travel]." That's par for the course across the Continent, Frommer said. "You're going to get protests throughout Europe," she said. "They have very strong unions -- bless them, I think that's great -- and a long history of protesting, but that doesn't necessarily mean that these protests are going to lead to violence." And at least one American living in Athens says the level of violence wasn't as bad as news outlets portrayed. "Protests are a way of life here. It's the way people vent," said Carole Heiman-Kezios, who with her husband, Basil, rents out apartments to travelers and provides off-the-beaten-path guides. "It is definitely the way they do things in Greece," confirmed Gerard Bellino, vice president of U.S. leisure travel for CWT Vacations. His company is working to allay clients' concerns by feeding them as much information as possible, he said. That's necessary because exaggeration is part of Greek culture, Heiman-Kezios said with a chuckle. A crowd reported at 500,000 probably was more like 10,000, she said. 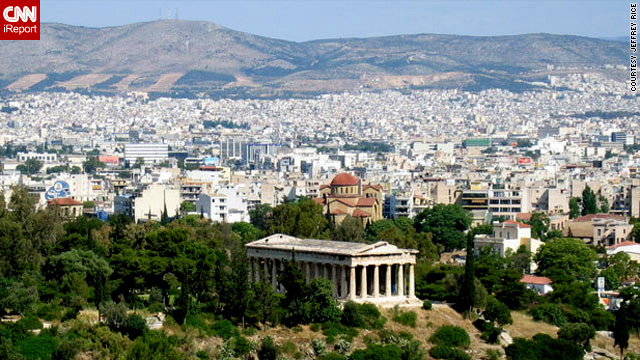 "The Greeks invented drama, and the media perfect it," she wrote on her blog at True-Athens.com. "I personally don't see any reason visitors should not come here, nor do I see any threat of danger or physical harm in traveling here," she wrote. Bellino said CWT Vacations has moved a few concerned clients to places away from Athens' Syntagma (Constitution) Square, the focus of much of the unrest. But away from the restive capital, "it's business as usual in the islands," he said. In Athens, protest marches and strikes usually are promoted well in advance and tend to be held in the same places, so it's not hard to work around them, said Heiman-Kezios. "When there's a march, you just go away," she said. The Greeks invented drama, and the media perfect it. Heiman-Kezios, who has been hosting travelers for eight years, has not had any cancellations in the wake of the unrest. On the contrary, "In the last two weeks, I have had more last-minute inquiries than I have ever had in the entire time I've been doing this," she said. Some of those may be people who were booked in downtown hotels but decided they didn't want to stay near Syntagma Square in case there's trouble, she conceded. Bookings to Greece and across Europe are up from last year as the U.S. recession begins to ease, Bellino of CWT Vacations said. "Business was down, given the economic environment," he said. "... We are just seeing a return to normalcy." The bottom line is that Greece is still a fine place for a vacation, and travelers need not worry about political unrest, Frommer said. "I would have no hesitation going to Greece this summer," she said.